There is a village in the Tuscan Maremma area which has a unique timeless atmosphere: Capalbio is a very well-preserved small medieval town which has long been frequented by famous personalities from the world of culture and music. The landscape is dominated by Mediterranean maquis or shrubland with its intense shades of green: a wild and uncontaminated scenario. In the vicinity it is possible to visit the WWF oasis of Lake Burano (25Km. ), the Giardino dei Tarocchi and the 12 km long beach of Capalbio. The sea is clear and transparent, the seabed is sandy and there are numerous well-equipped bathing establishments as well as 6 km of public beach. 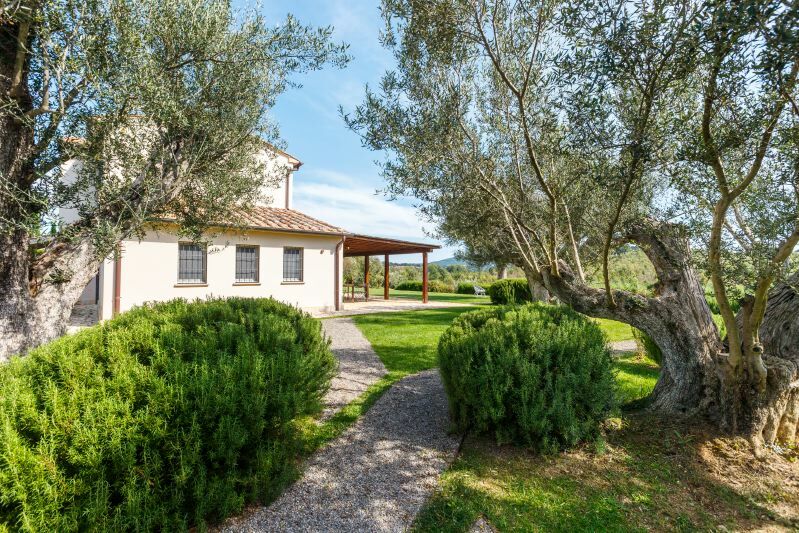 Villa Amore is 13 Km from Capalbio, in the middle of the Maremma countryside, in an oasis of tranquility. It is reached along a short stretch of dirt road. 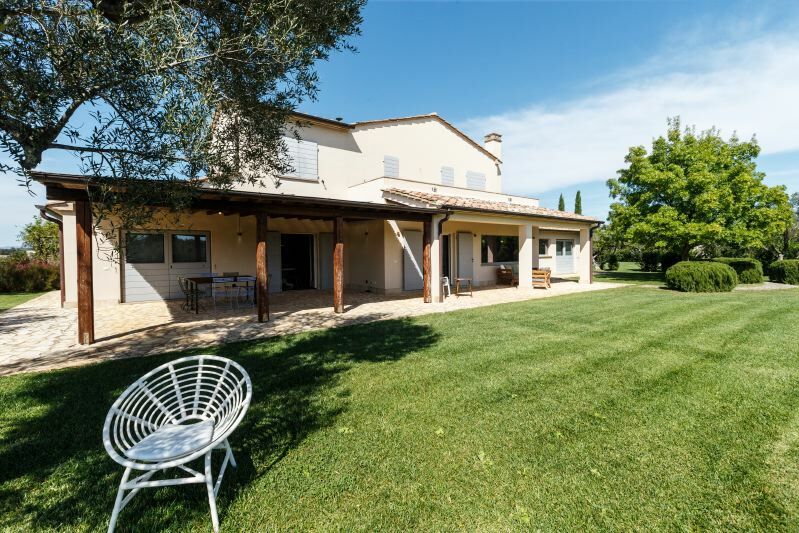 The property is completely fenced off and consists of two characteristic farmhouses that have recently been elegantly renovated using high quality materials and design furniture. The furnishing elements have also been selected with great care. The two farmhouses have air conditioning, heating, WI-FI internet connection and the kitchen is supplied with excellent quality equipment. In the outdoor area there is a large 16 x 8 m private swimming pool provided with sunbeds and deckchairs. The portico adjacent to the principal farmhouse has a dining table which is suitable for 12 people, and a barbecue. At about 1 km away there is an excellent restaurant which prepares typical and traditional dishes from the cuisine of the Maremma area. GROUND FLOOR: spacious living-room with Sky TV and dining-room; kitchen with oven, double American-style refrigerator and dishwasher; 1 double bedroom with bathroom and shower; downstairs bathroom; study with TV, massage room; laundry room with washing machine. The living-room and kitchen lead to the outdoor portico furnished with armchairs and dining room with table and chairs. FIRST FLOOR: 1 double bedroom with four-poster bed and en suite bathroom with shower; 1 twin bedroom with en suite bathroom with shower; 1 double bedroom with en suite bathroom with shower. All the bedrooms have large windows with views of the countryside. ANNEX: independent kitchen with dishwasher and breakfast table and living-room; 1 double bedroom with en suite bathroom with shower; 1 twin bedroom with en suite bathroom with shower.